The ubiquitous Grey Fergie could easily be described as a good old trooper, we visit George Martin of Co Tyrone who has taken that meaning quite literally by installing an Isuzu Trooper engine in his! Usually when most people think of a Ferguson TE-20 they visualise a product of the 20th century which played an important part in revolutionising agriculture around the world and one which is still revered, standing proudly in displays at tractor shows or sedately taking part in tractor road runs throughout the United Kingdom and the Republic of Ireland. However, it seems that not all Grey Fergies are quite that modest as Gina Harvey recently discovered. 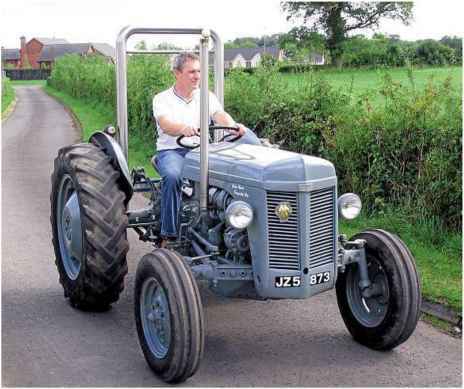 George Martin of Derryscollop, Moy, Co Tyrone smiles knowingly when he talks about his 1952 Ferguson tractor: "Well, five years ago, my tractor was a pretty straightforward TVO TE-20 but the slight modifications I completed in 2005 have transformed it to an impressive 2.8 litre turbo-charged machine." A mechanic by trade, George said that for a long time he had wanted to break away from the norm and work on a very different project most probably involving a tractor of some kind. "Although I had spent quite a long time pondering what I wanted to do, things really began to take shape when I discovered an old short wheelbase Isuzu Trooper believed to be from the late 1980s which had been abandoned in a local farm yard. I enquired about buying the engine and when I told him what I hoped to do with it, the farmer told me to take the whole vehicle," George explained. 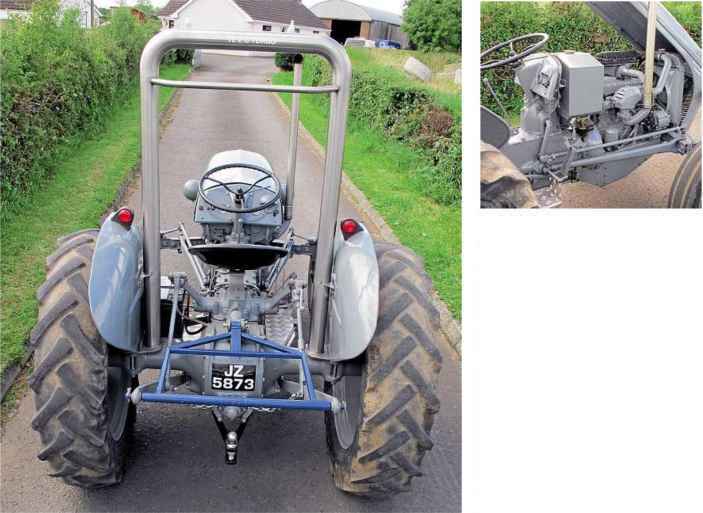 "I took the Trooper home and removed the engine ready to fit into something else but strangely, finding a suitable tractor was probably the most difficult part of the project." 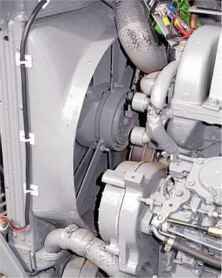 Due to alignment problems the original radiator fan could not be used, the electric fan fitted is more than ample for the tractor as the engine runs fairly cool and if it does run hot the electric fan just kicks in, a system similar to those fitted on motor cars. George had spent several months searching for a suitable recipient for the Trooper engine when he was told of a Ferguson FE35 which was for sale. He continued: "I went to see the owner of the FE35 and as often happens he asked out of interest what I planned to do with it. 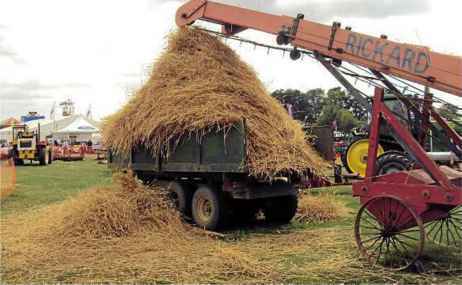 "When I explained my project he said that he had another tractor which he felt would probably be more suitable for what I had in mind and took me to a shed further down his yard. There, sitting outside the shed, was a decidedly tired Ferguson TE-20." With no wheels, mudguards or seat and also with a hole in the engine block George decided that this seemed the ideal candidate for conversion and after making a suitable offer travelled back home to collect his trailer. He added: "When I went back to collect the Ferguson the man came over to me clutching some paperwork and my first thoughts were that he had sold it to someone else, but it turned out that he had found the original registration document and some other paperwork for the tractor, which he handed to me." He explained: "The engine of the Ferguson is built to carry the front axle so I had to make some alterations to fit the unit from the Trooper. In order to get the engine and gearbox to fit together, a spacer plate was required which had to be made from heavy 20mm plate as something substantial was needed to hold the front axle. One major change was the addition of a home-made chassis, the engine of the Ferguson is built to carry the front axle and the Isuzu engine was not, so George made his own chassis which fitted between the spacer plate on the transmission to the front axle. Fitting the Isuzu engine was quite a simple job as the length of the engine was fairly similar to the Ferguson engine. Very little fabrication work was undertaken, the bonnet was slightly altered to fit and a new six gallon fuel tank was made. 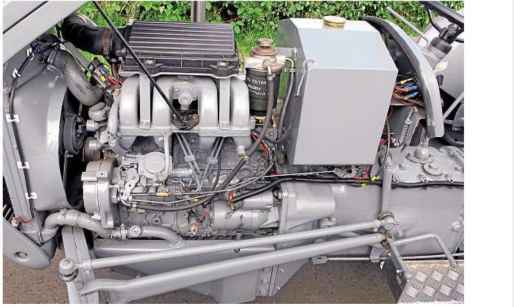 The turbo charged Grey Fergie.As the Isuzu engine's rpm was too high for this conversion George restricted the engine to 1700rpm.The four cylinder 2.8 litre diesel TD engine when in the Isuzu Trooper was at the lOOhp mark. The original Ferguson bonnet was re-fitted after slight modifications had been made to the length of the front pulley and although George was able to use the original radiator, an electric fan was fitted to keep the engine cool as the pulley no longer lined up correctly with the radiator fan cowl. "It was easier to fit a separate fan, but this only comes into operation occasionally," he said. Working in an agricultural engineering environment had its benefits as George was able to source some of the replacement parts he needed such as mudguards, steering wheel, seat, headlights and paint from his employer, Alexander Mills of Benburb. He commented: "The colour of the paint is actually Matbro grey as Mills purchased quite a large quantity when the Matbro factory in Dungannon was closed and the stock sold off." "Although it is a fairly straightforward tractor to drive on the road, you certainly reap the benefit of the extra power when tackling some of the hills around this area." While carrying out repairs to a telehandler and generally talking tractors one weekend with the owner, George mentioned that he needed replacement wheels for the Ferguson. It just so happened that the man also owned an International B250 which had suitable wheels, so in lieu of payment for the work he had done, a further complete machine made its way to George's workshop to be stripped of its useful parts. Yet another friend came to the rescue when it came to finding link arms. George explained: "While visiting one of my mates, Roy Beattie, we were discussing the progress I had made with the project when I mentioned that I was looking for link arms. He said that he knew of two old Ferguson tractors which had been stripped and then buried in a field. Not a lot more was said at the time but then two days later he turned up with the two tractors, which he had dug up, on a trailer. 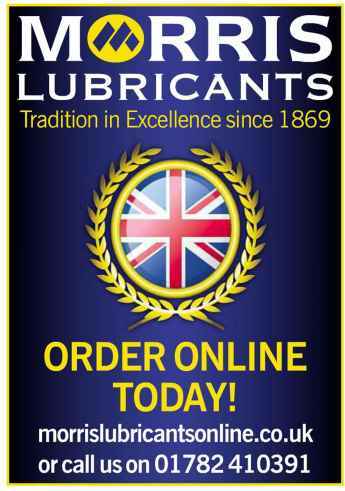 After clearing off the remaining mud from one of the exhumed tractors, the link arms I needed appeared to be in reasonably good condition so they were removed and refurbished before being fitted to my Ferguson." tractor near the footwell. New footplates were made from aluminium and additional light switches fitted to the dashboard. George says that his Ferguson 2.8 Turbo tractor still retains its standard brakes, transmission and hydraulics, however as the rate of revolution of the Trooper engine would have been approximately twice that of the original unit, the replacement engine has been limited to 1700rpm, which George thinks probably achieves a power output somewhere in the region of 90 horsepower. He said: "I am really pleased with the finished product, all the hard work was certainly worthwhile. Although it is a fairly straightforward tractor to drive on the road, you certainly reap the benefit of all the extra power when tackling some of the hills around this area. The whole project was done at a minimal cost, but you have to remember that as a trained mechanic I have plenty of experience in this type of work and was fortunate in sourcing quite a few of the parts needed locally, however I would not like to put a cost on such a similar project if undertaken by someone else."